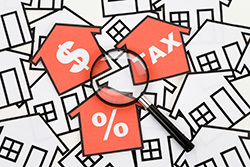 Do you own a house with someone and don’t want to register as domestic partners, but you still want an exclusion from a change in ownership for property tax purposes when you die? Now you can. Here’s how it works. Under Rev & T C §62.3, as enacted by Stats 2012, ch 780, §1 (AB 1700–Butler), a change in ownership doesn’t include a transfer from one cotenant to another that takes effect on the death of one transferor cotenant. Two cotenants own 100% of the property as tenants in common or joint tenants. The cotenants must be owners of record for the 1-year period immediately preceding the death of one of the cotenants. The property must have been the principal residence of both cotenants for the 1-year period immediately preceding the death of one of the cotenants. The transfer must occur due to the death of one of the cotenants, and the surviving cotenant must obtain a 100% ownership interest in the property. The surviving cotenant must sign an affidavit under penalty of perjury affirming that he or she continuously resided at the residence for the 1-year period immediately preceding the transferor cotenant’s death. But you do need to take and hold title together for it to be fully effective. If you give a half-interest in your house to someone else, there will be a 50% reassessment unless another exclusion applies. But at least the other half won’t be reassessed when you die. The California State Board of Equalization’s Letter to Assessors No. 2013/021 (Feb. 20, 2013) discusses the requirements for the exclusion in a question-and-answer format. For example, the letter states that gender doesn’t matter (Question 5) but marital status does (Question 11). The letter explains that the definition of principal residence depends on physical presence and intention. The implications of the exclusion are discussed in the April issue of CEB’s Estate Planning & California Probate Reporter. Also check out California Estate Planning §15.13A. Are you planning to become a Certified Specialist in Estate Planning, Trust and Probate Law? 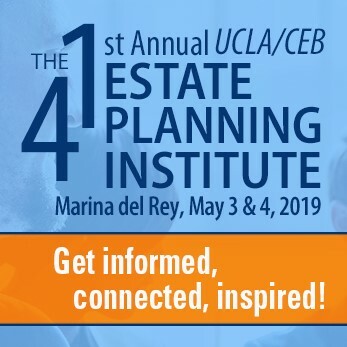 Prepare for the test with CEB’s Estate Planning Intensive Course. ← What Is a Debtor to Do When Judgment Day Comes?